Ireland’s latest report card by the IMF also states that firm implementation of budget policies is required if Ireland wants to achieve its fiscal targets. THE ELEVENTH REVIEW by the International Monetary Fund (IMF) published today welcomes the beginning of loan resolution between the banks and mortgage holders. However, the review stated “this work must press forward to reduce arrears and related uncertainties. Banks have begun to engage with mortgage borrowers in arrears to propose durable solutions”. They said the establishment of the Insolvency Service and the removal of an “unintended hurdle to repossession proceedings” are expected to help facilitate loan resolution progress. 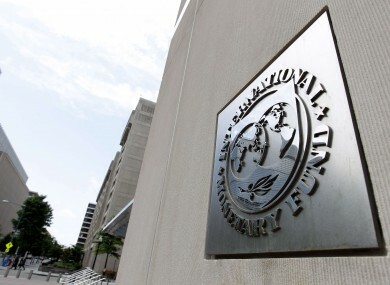 The IMF said the authorities should keep the “effectiveness” of the resolution framework under review and close supervision of banks’ efforts will remain essential. The IMF said that Ireland’s weak GDP data is pointing to a “slower recovery” than expected and said that maintaining fiscal consolidation efforts is “central”. They added that continued firm implementation of Budget 2013 is required to achieve this year’s fiscal targets. A range of other economic indicators are more encouraging, suggesting lower but still positive growth in 2013, though uncertainty remains. Growth projections for 2014 are also lowered given weaker prospects for consumption recovery and for trading partner growth. While they welcomed that employment had begun to pick up, they said high long-term unemployment remains a key challenge for Ireland. …further European support could make Ireland’s recovery and debt sustainability more robust. Irish banks face weak profitability that hinders their capacity to revive lending. European support to lower banks’ market funding costs could help sustain domestic demand recovery in the medium term, protecting debt sustainability and financial market confidence. Email “IMF review says close supervision of Irish banks is essential”. Feedback on “IMF review says close supervision of Irish banks is essential”.